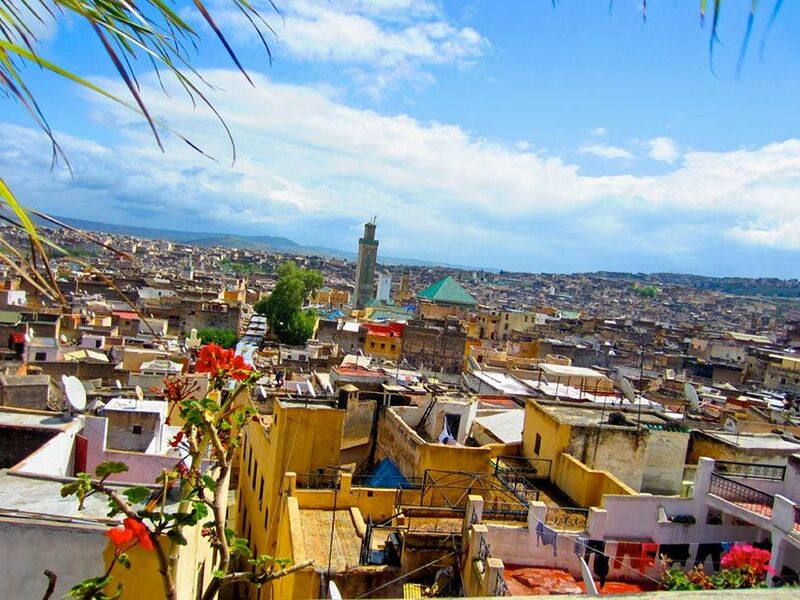 Experiences 3 days exciting trip from Marrakech to Fes. 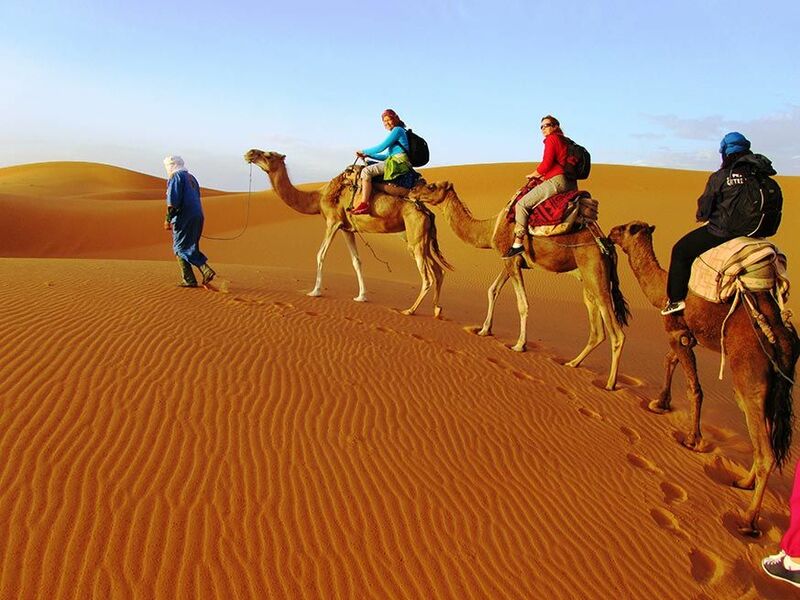 Marrakech to Fes desert tour will take us three days. First night we stay at a private guesthouse with your own en-suite bathroom and the last will be spent sleeping under the stars in a Berber desert camp. 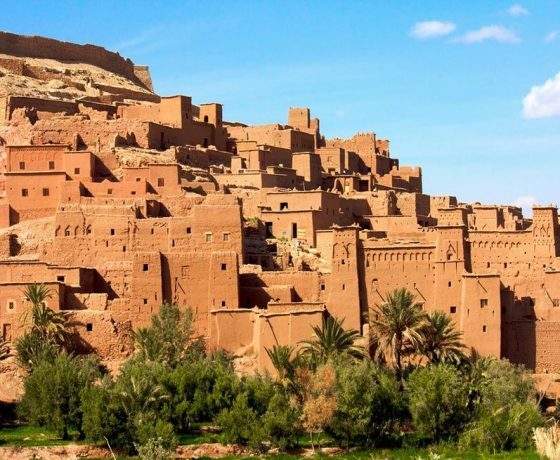 On Marrakech to Fes tour you should expect to be picked up around 7.30 a.m. and on our first day we will travel by air-conditioned modern minibus to Telouat before arriving for a magical stop at the Kasbahs at Ait Ben Haddou. 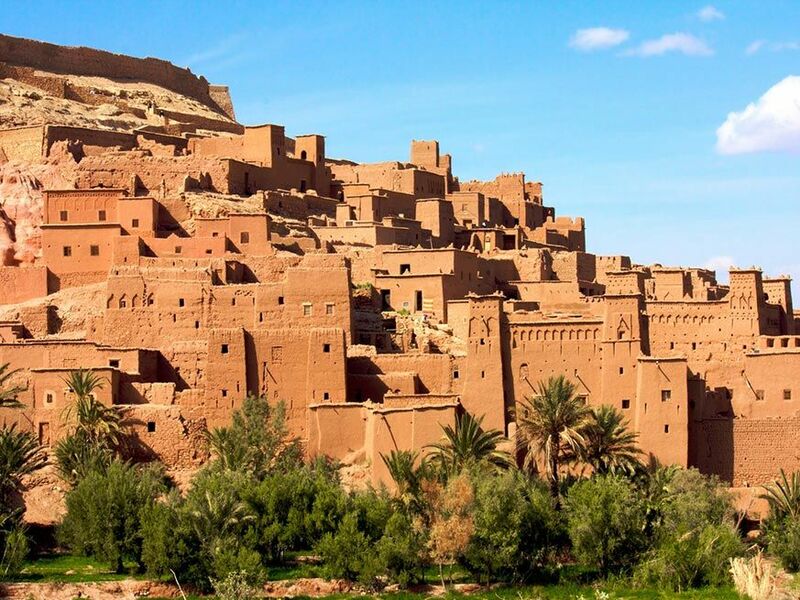 The desert trip then takes onto the city of Ouarzazate. This place is often hailed as the Gateway to the Desert and the landscape around the city is spectacular and resembles a film set. This is because the many Hollywood blockbuster movies have actually taken place around here and there is a film studio centre used as a base by large production companies. After lunch, which can be taken at any café, we head deeper into the Dades Valley. At Boulmalne Dades we stop off at a town which is right at the edge of the desert. We will stay over for the night at a comfortable guest house where we’ll have an evening meal and breakfast the next morning before continuing through the Dades Valley for Todra Gorge. 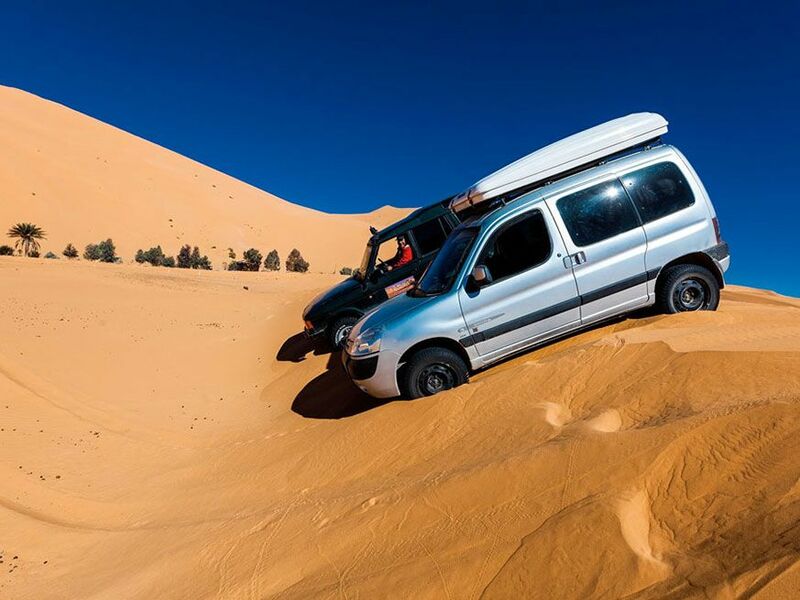 This amazing desert trip from Marrakech to Fes now sets us up in the jaw-dropping landscape of the Todra Gorge. It is a well maintained area with asphalt roads guiding tourists around this vast canyon. You’ll witness rock climbers, people trying to see the top of the cliff face and occasional flooding from the Dades River. 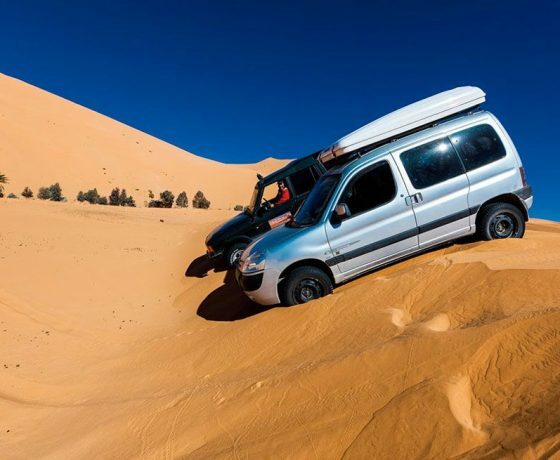 After lunch on day two – and our midday meal can be taken at any one of the many cafes – we head off to Merzouga. This will be our final destination of the day, but the best desert adventure part is yet to come. Riding on camels through the golden sands of the desert is like something you’ll have only ever witnessed on films like Lawrence of Arabia, but we will hop on a dromedary for the final leg of today’s journey up to the Berber desert camp. The camels will transport us through the Dunes of Erg Chebbi. If you prefer to walk along with the guides, you can. However, you’ll quickly realise the camel ride is the easiest and most exciting experience of desert travel there is. On the final night of our Marrakech to Fes Sahara tour we will be sleeping in Berber desert tent accommodation. 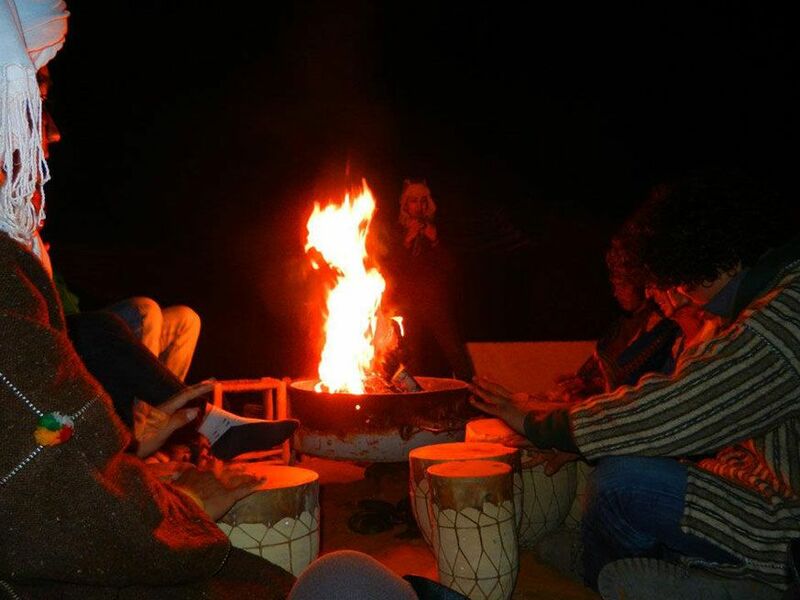 The tents are traditional and there will be a feel of the desert at night as you enjoy your evening meal under the stars and with the sound of gentle Moroccan drums to help you unwind. The clean air, jet black skies and occasional sound of the camels breathing will ensure most sleep peacefully through the desert night. 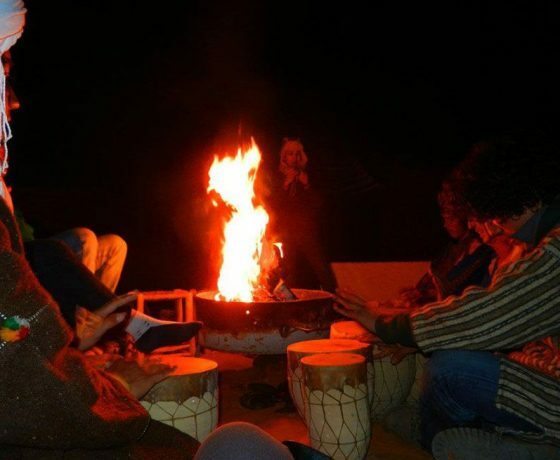 In the morning, you will remain in the camp and sample a filling breakfast and prepare for the final day’s push to Fes. 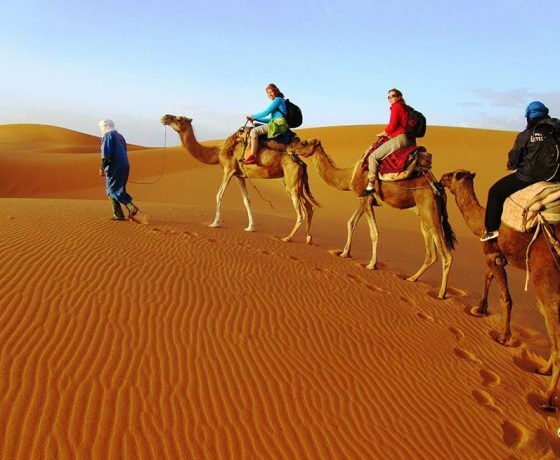 On last day of our desert tour from Marrakech to Fes, our camels will transport us back to Merzouga, where we will then drive to one of the world’s cleanest and most fascinating cities. Ifrane is known in Morocco as a “Little Switzerland” as it lies high up in the Atlas Mountains and it is known to snow here during the winter season. Our modern air-conditioned minibus (minivan for shared tours) will take us through the beautiful Ziz Valley. Here you will see a number of dramatic gorges, reddish gold dunes and a number of astonishing oases within the Tafilalt. Here you will see the thick, lush canopy of palm trees blooming out from the sides and bottoms of cliff faces, truly spectacular sights of the rose-tinted golden sandstone buildings and the deep gorges that meander throughout this picturesque valley. 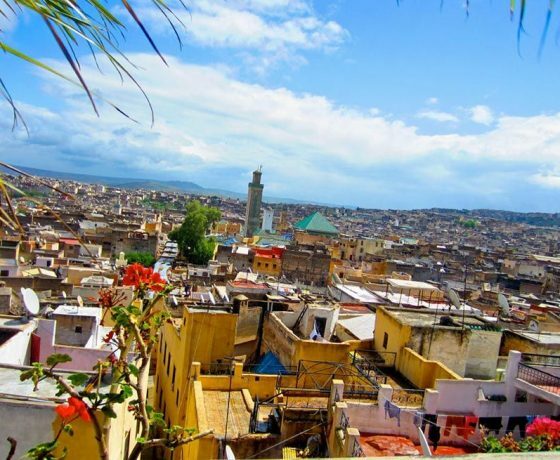 Our journey and fascinating adventure culminates with the road to Fes and the drop off here that see you arrive at this vibrant city around 5.00 or 6.00 p.m. Here you shall be dropped off at your hotel or Fes riad.